Rising costs and high taxes are eroding pensions and retirement savings in South Africa. At the same time, the costs of private medical care are skyrocketing. Together, these factors can leave aging parents unable to afford quality healthcare, at just the time in their lives when they’re most likely to need it. Often, this is an issue that’s left to the next generation to try to solve. As our parents age, it falls to us to help ensure they get the care they need. If you parents don’t have medical aid, it may be necessary to rely on state clinics and hospitals for needed treatment. Unfortunately, the state of South Africa’s public healthcare system leaves much to be desired. Also, in the case of aging patients, it’s not just concerns about the overall quality of medical care that are relevant. Very long waiting times, communication problems and less than gentle treatment at local clinics can be especially trying for the elderly. find a medical aid option your parents can afford. Do your parents qualify as beneficiaries? As a principal member of a medical aid scheme in South Africa, you can make your parents adult beneficiaries on your existing plan. There is one proviso – you have to provide proof that they are financially dependent on you. If your parents draw a pension or have any other source of income, they won’t be entitled to join your medical aid scheme at the reduced adult beneficiary rate. If it’s not possible to include your parents as beneficiaries of your own medical aid plan and you’re investigating separate medical aid on their behalf, there are some things to consider. 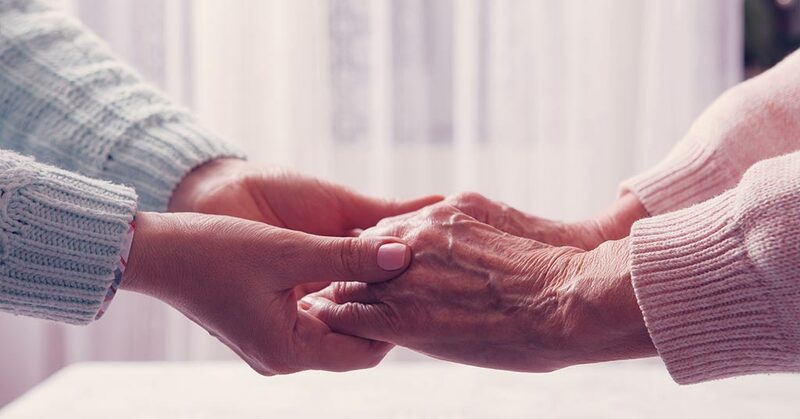 Before you make a decision about the best medical aid for your parents, consider the kinds of healthcare problems to which your mum and dad may be particularly vulnerable, based on their medical histories and because of their age. Then aim to find a medical aid plan that offers a suitable benefit structure, given your parents’ health status and risks. For example, it’s a good idea to ensure a plan offers beefed-up benefits for chronic medication, step down or nursing facilities and procedures commonly needed by the elderly, such as joint replacement and cataract surgery. If your parent is predisposed to certain health issues, for example with a family history of cancer or heart disease, pay special attention to benefits for these too. If your parents have never belonged to a medical aid scheme or have been without medical cover for some time, you’ll have to pay a late joiner fee. This is an amount over and above the monthly membership cost, and has to be paid each month. Also, waiting periods apply for new medical aid members and beneficiaries. Typically, there’s a three-month general waiting period, during which no expenses can be claimed, and a 12-month waiting period before any cover will be provided for pre-existing conditions. To ensure elderly parents get the appropriate medical aid for their healthcare needs, we suggest you consult a medical aid broker. BonComprehensive by Bonitas covers unlimited in-hospital expenses at up to 300 percent of the scheme rate. There’s cover for 60 chronic conditions, and managed care programs for hip and knee replacements, diabetes and back and neck pain. A generous savings account and an above threshold benefit pays for day-to-day expenses. An elderly health benefit covers the costs of age-related vaccinations, screenings and tests. Discovery Health Classic Saver pays for unlimited network specialists in-hospital in full. Other healthcare providers are covered at 200 percent of the scheme rate. The chronic illness benefit pays for chronic medication of 27 Chronic Disease List (CDL) conditions in full. Day-to-day benefits are paid from the medical savings account. The Momentum Health Custom option covers network specialists and certain procedures and treatments in full in-hospital. A co-payment applies to all other pre-authorised treatments. There’s cover for 26 CDL conditions. Day-to-day benefits are paid from the member’s HealthSaver account. If you or an elderly parent can afford only a basic hospital plan or a medical aid plan that covers in-hospital costs at anything below about 300% of the scheme tariff, it’s likely you’ll have to make co-payments. In other words, you’ll bear some of the costs of medical treatment and care yourself because medical aid won’t cover the expenses in full. One option to consider in this case is gap cover, which is designed to help cover the gap between what medical aids pay and what private healthcare providers actually charge. If you’re currently looking for the best medical aid for your parents, we can help. At IFC, we offer informed, objective advice about South African medical aid schemes, as well as assistance in joining whichever medical aid scheme you decide best suits your needs and budget. Contact us for more information.